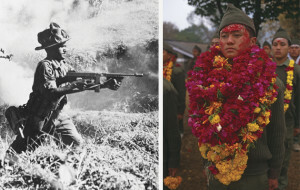 A wonderful article about the Gurkhas and their history on the May Edition of the Field Magazine. 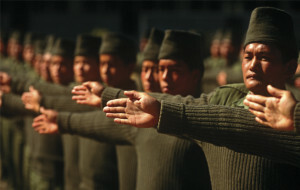 Gurkhas have fought for Britain in many significant campaigns for the last two hundred years. With such a determined and ferocious enemy, it had seemed only natural to recruit them on condition that Britain would have the authority to appoint soldiers in Nepal. The Gurkhas have been with us since. That day at Sandhurst I not only believed those stories but that display of superb fieldcraft instilled in me a deep sense of wanting these men on my side, never as my enemy. Back at Sandhurst 40 years later, I asked Colonel James Robinson, Colonel Brigade of Gurkhas, to distil the essence of a Gurkha soldier and that 200-year relationship. He pointed to a large, bronze plaque leaning against the wall of his office. It commemorates “Three Gallant Soldiers” killed in action at Dargai in 1897, including Captain John Graham Robinson, his great-great-great uncle. There has been a Robinson in the regiment ever since. 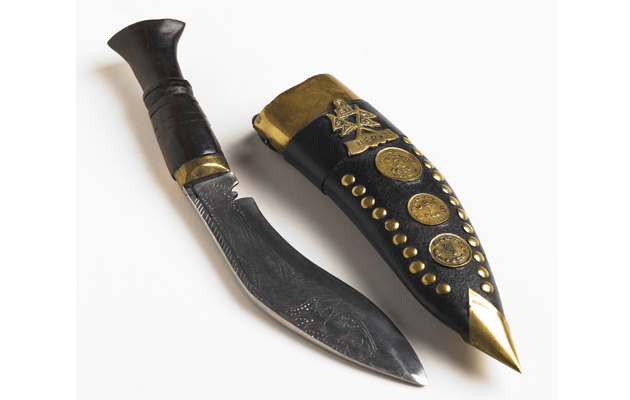 The colonel still carries his forebear’s sword, a weapon he shows me with pride.